Why choose JNtech Networks for Cisco Security CCIE WRITTEN + LAB? CCIE certification is an expert level of Cisco certification, where it validates the skills and knowledge required to implement and maintain network security solutions. 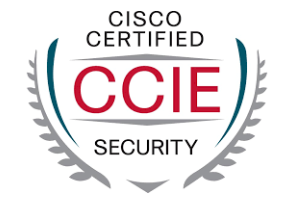 CCIE security certified professionals are experts in design, implement, engineer, troubleshoot and support all Cisco security technologies using industry best and advanced practices. They are responsible to maintain their networks absolutely secure from advanced security threats, risks, and vulnerabilities. CCIE certified engineers are in high demands and best-paid professionals in the IT industry globally. CCIE certification is a challenge for those who want to make their career in network security with good job profiles. CCIE security certified engineers are responsible to manage and for creating end-to-end secure networks in their organization. JNtech NETWORKS is a pool of CCIE certified trainers where candidates get high-end solutions for CCIE security training in Noida. Our training course program is designed according to Cisco exam topics and syllabus. We use real Cisco devices for the CCIE security training for lab practices where candidates can access labs for 24*7, virtual online racks for those students who want to join training online, LVC and many other facilities. JNtech NETWORKS CCIE security training course program is specially designed with the focus on written exam and lab exam topics. Industry best expert trainers are responsible for providing quality based training which assures aspirants could pass their exam in the first attempt. JNtech NETWORKS provide classroom training for CCIE security courseS in Noida, Delhi, India. Our training center infrastructure is equipped with advanced and latest lab devices required to pass written and lab exam. There is no prior certification required for CCIE Security certification. It is recommended that candidates should have at least 3-5 years of job experience in the networking industry and have good command over exam topics. You must pass written exam first and then lab exam to be certified in CCIE security. Configure, design, implement, maintain infrastructure security, virtualization and automation. This exam tests candidate skills and knowledge about to plan, design, implement, operate, and troubleshoot complex network security infrastructures.